The Italian Blue Pool Garden designed by Guy Lowell at 'Planting Fields', the William R. Coe estate designed by Walker & Gillette c. 1919 in Oyster Bay. These 1924 photographs were taken by Frances Benjamin Johnston. Click HERE for more on the Italian Blue Pool Garden and HERE for more on 'Planting Fields'. These old colored slides have a 3-D effect to them that I just love. Thanks for sharing! If you scroll to Zach’s May 24, 2010, posting for ‘Planting Fields’ you’ll see current photographs taken at the same angles that give great then-and-now comparisons; hint – then was much more spectacular … but it would be in a day when having a dozen or so full time gardeners was not unusual on a big estate. Seeing the interiors of ‘Planting Fields’ just now reminded me that, like ‘Wheatly’ the interiors are surprisingly rustic (to me) given the exterior. I expected ‘Wheatly’ to have cool Georgian interiors & ‘Planting Fields’ a sophisticated Tudor look. I guess their original owners had a different vision. Even under the misguided hands of NY State ownership this estate is spectacular. The numerous greenhouses, the camelia house, the many garden features, the historic entrance gates, the various outbuildings and the home itself have managed to survive despite years of tough usage by the State University system. This property is one of the estates where vast numbers of gardeners were definitely employed in its heyday by the Coes. I think this newly restored pool garden just needs the advantage of some time to match the older photos. Coe Hall, like Ormston, Killenworth, Inisfada, Hempstead House and Rynwood all blur the lines between centuries old English manor and early 20th century Long Island country home. A favorite. Archibuff, I agree that time & mature plants will help the look of the 'Italian Blue Pool Garden' (great name -- implies there are pools representing other countries & colors to be found). I can't comment about previous mismanagement but at least most all the bones here were left intact: tea house, pool with fountains, tiered flowerbeds, even urns ... worse things have been done elsewhere. The states impact was not as bad as it could have been since this was always a "temporary" campus and they didnt destroy the place to meet their immediate needs. I think they constructed quonset huts and/or other structures near the existing service buildings and over the cutting gardens for classrooms and when they had the option to "renovate" portions of the main house, they elected not to, so their presence is slowly being erased over time. Had the State or Nassau County been given the opportunity to own Planting Fields for many more years this place could easily resemble Hempstead House, Welwyn or Caumsett, all still trying to recover after sadly being neglected for years. SUNY did dismantle things in the main house including Mrs. Coe's bathroom (which became a student bathroom). There are before and after photos they show on the house tour. Gardens are ephemeral---more so even than houses---and like houses, it takes an 'eye' to sustain a vision. Number of gardeners available matters a lot less than someone who has that indefinable 'feel' for what and where things should be done. 12 badly trained gardeners are no better than one superb one with that all important 'eye'. 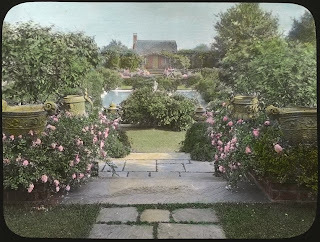 I've known many an estate whose old time trained gardener knew just where to prune, where not to prune, and where the rosebushes should be allowed to fall tenderly across a wall. I've watched many of those same estates go to seed when new gardeners who don't understand take over. New York State, from the various estates I've visited under their care, are particularly bad---they not only cut corners, but they force bureaucratic solutions on what is an artistic as much as a technical skill. Even admirable organizations like the Massachusetts Trustees of Public Reservations suffer from this. 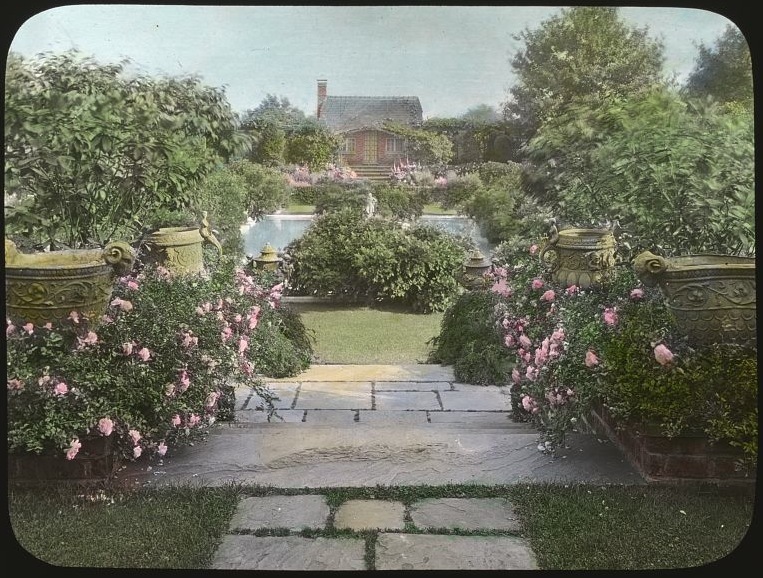 The Stevens-Coolidge Gardens look as if it were still 1929 and the just stepped out for some shopping, but the nearby Long Hill Garden is in desperate need of a rethink and. 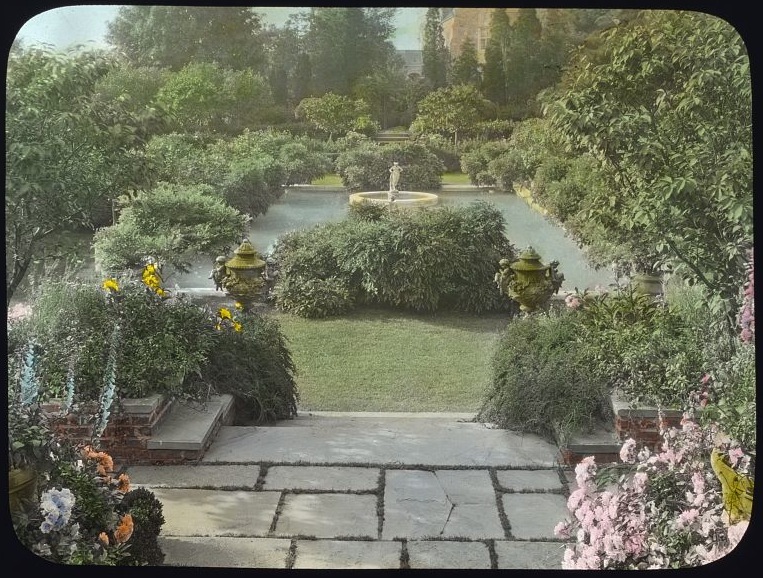 The very great Castle Hill grounds are a disaster, and Naumkeag, one of the finest gardens in America could use a more judicious hand and eye, particularly in the brilliant Afternoon Garden. It's heartbreaking. In England, garden preservation is so very very far ahead of us. Wow, the constant stress of loving estates and old houses in a world where trying to save such things is so exhausting has clearly created a cranky bunch of bloggers. I was at Planting Fields lsat week and other than the sad sapling where Mrs. Coes Fairhaven Beech stood and the invasion of lesser ranunculus, which seems to be flourishing all over the north shore, the grounds and buildings look fantastic. The grounds and buildings look fantastic because it has taken a generation of volunteers, fund raising efforts, numerous removals and restoration projects to bring the property and mansion back to where it is today. Planting Fields Foundation and the Friends of Planting Fields have been greatly responsible for this turn around. It's not cranky bloggers. It's just the difference between people who know how things are supposed to look and people who wander in and swoon over what they don't really know anything about. Anonymous 12:03...that was a rather elitist comment. Anonymous 12:03. I probably shouldn't bother to respond but....I have no way of knowing what your extraordinary level of expertise is, but I do know that I am an avid gardener, employ 1 full time and 2 part time gardeners for my paltry, but lovely and historic 8 acres and have visited many of the world's greatest gardens, some of which are owned by friends. My family has known 3 generations of Coes and I know that at least one of them, just visited (with me) and agreed that the place looked wonderful. Of course not as it did in its heyday, but for those of us dwelling in reality, it is still spectacular. Thank you NSP, thank you very much.